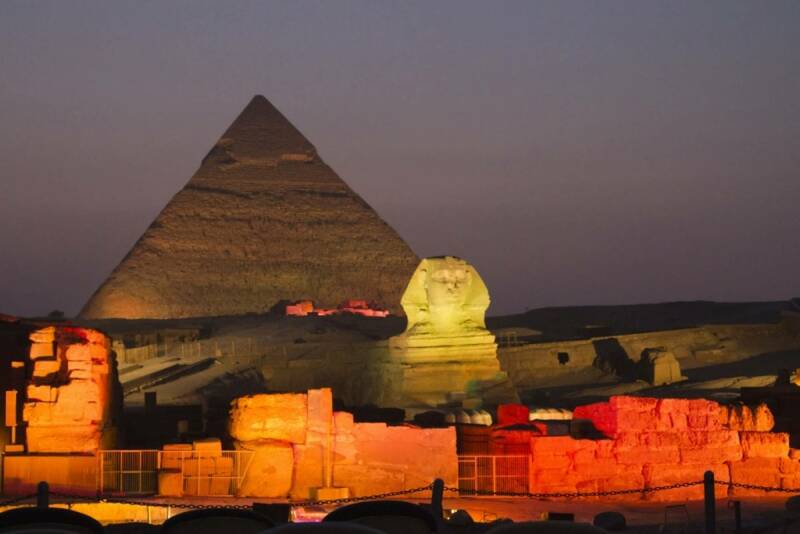 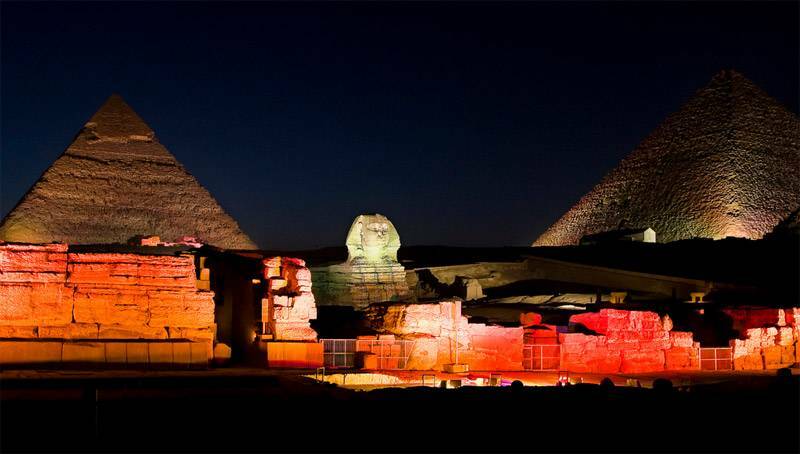 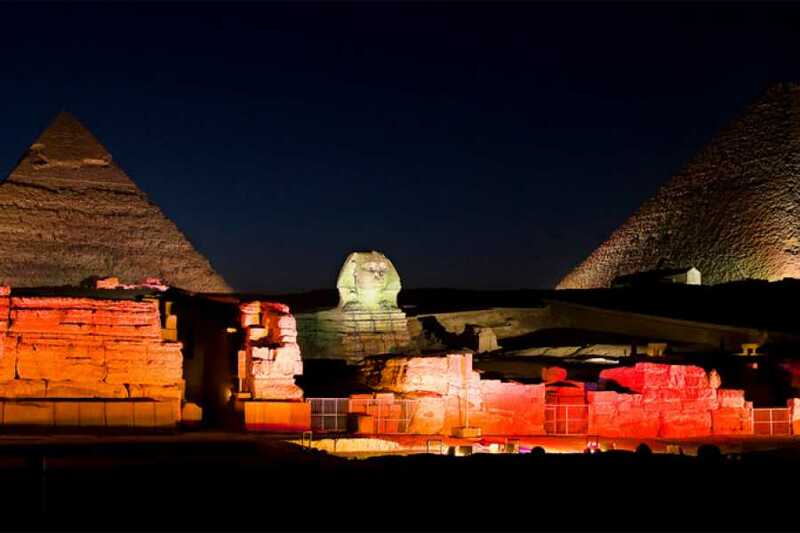 If you’ve been impressed by the Pyramids of Giza by daylight, experience the magic of the monuments at night with a ticket to the Sound and Light Show in the Giza Plateau. 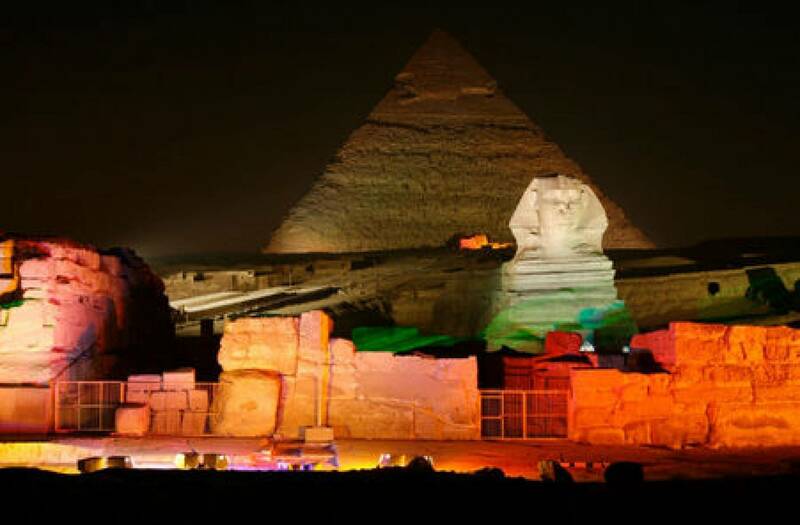 Transfer from Cairo by air-conditioned van, and take your seats in the spectacular setting of the pyramids and Great Sphinx in the desert. 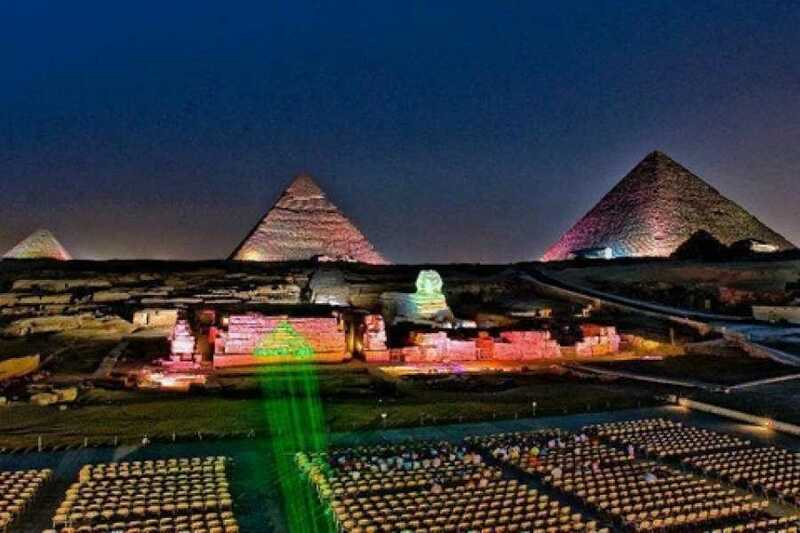 A recorded commentary will tell the story of the Pharoahs of Ancient Egypt as images are projected on to the temple walls.